The MoYou-London stampingplates are all very beautiful, easy to use and have a great quality. I love the fact every collection has it’s own girl, perfectly drawn btw, so you can immediately recognize wich collection you’re using. On my pointer, middlefinger and pinkie I stamped a bridal design using moyou Bridal 08 stamping plate and MoYou silver dust stamping polish. 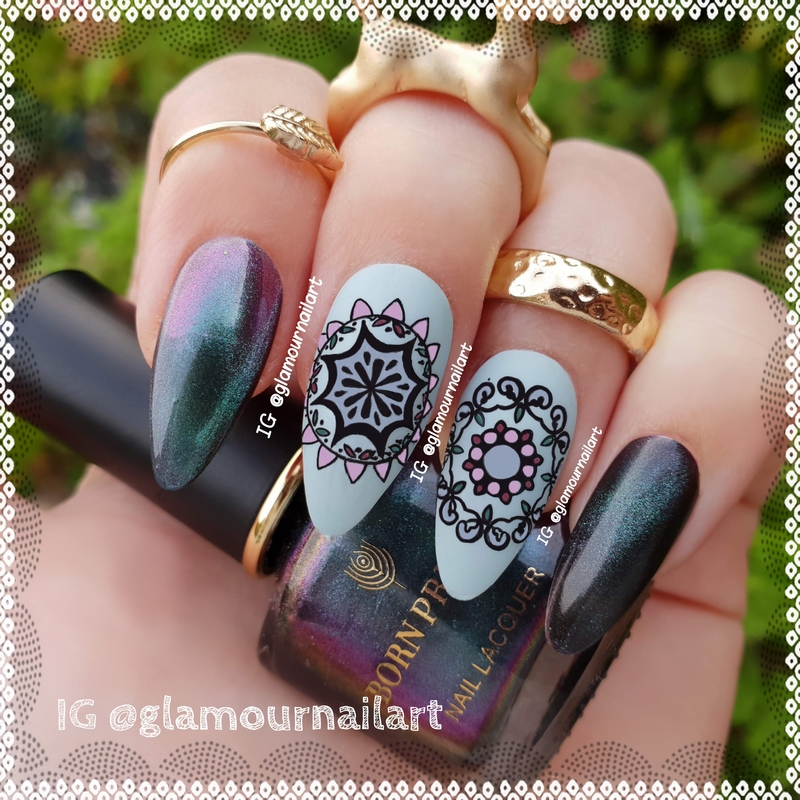 For this mani I used moyou_london Kaleidoscope stamping plate number 12. The stamping plates have a great quality and are easy to use ! The stamping plates have a great quality and are easy to use !